Ships today if you order in the next 7 hours 10 minutes. When your glucose levels are out of whack - you can often feel it. And it feels terrible. High blood sugar makes you fatigued, dehydrated and incoherent. Low blood sugar can make you moody and anxious, tired and hungry. The ups and downs of managing your blood sugar are a roller coaster ride that's no fun at all. But there are things you can do to help balance your blood sugar. 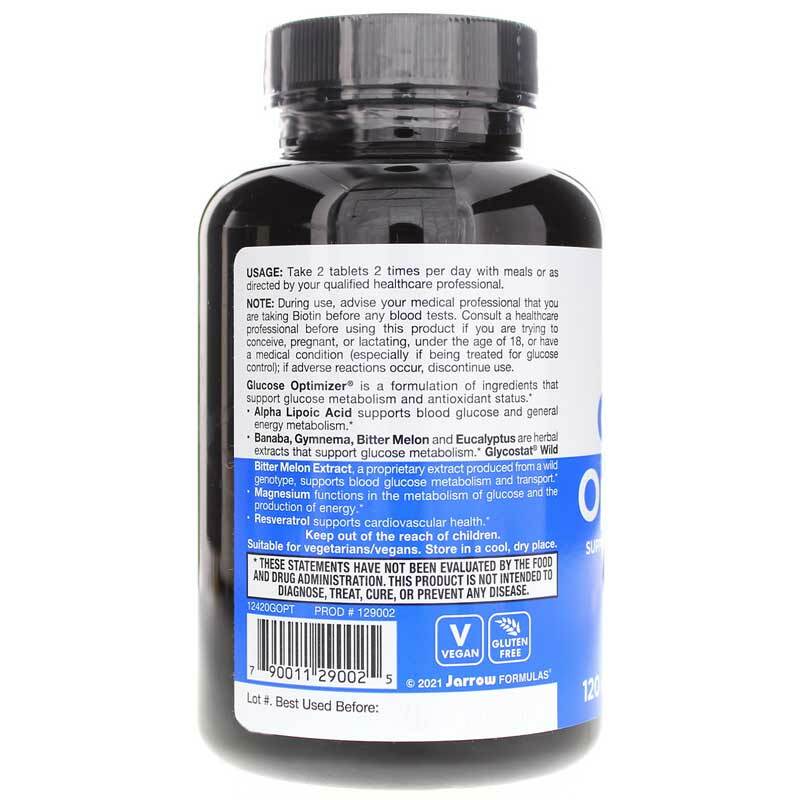 Jarrow Formulas offers Glucose Optimizer, a natural supplement that may help maintain normal glucose levels so your metabolism and energy levels are where they need to be. 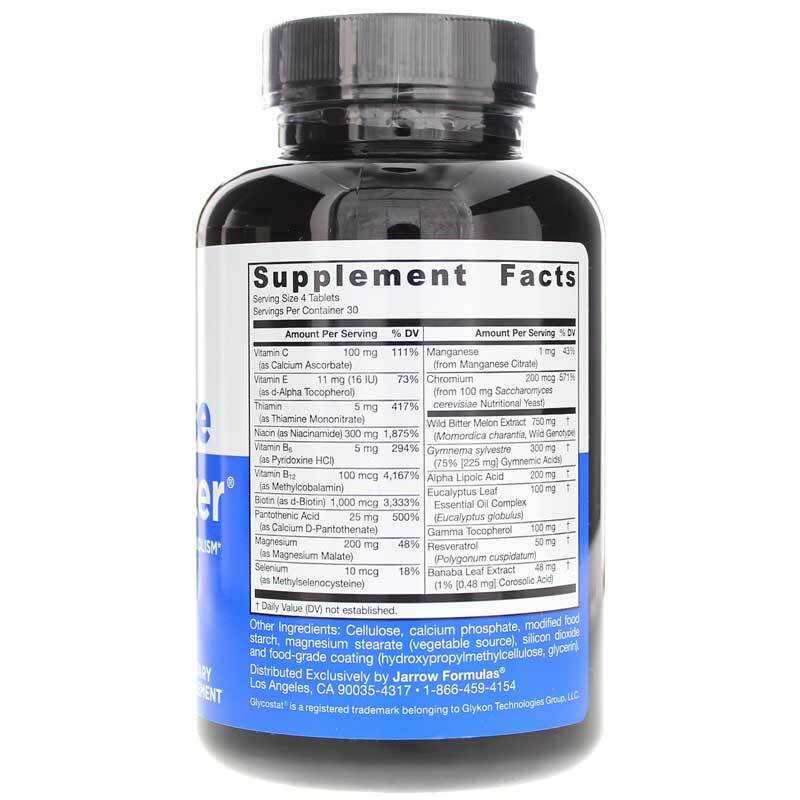 This product contains seven different antioxidant nutrients along with beneficial minerals and herbs. One of the most important ingredients is Alpha Lipoic Acid, which supports optimized blood glucose and supports healthy metabolism. As with any product that may affect your blood sugar, make sure to monitor your levels and talk with a healthcare professional. If you don't take steps to control your blood sugar, the impact could be much worse than simply not feeling well. Out of control blood glucose can cause serious damage to your organs and overall health. Do you see the advantages of optimized blood sugar levels? 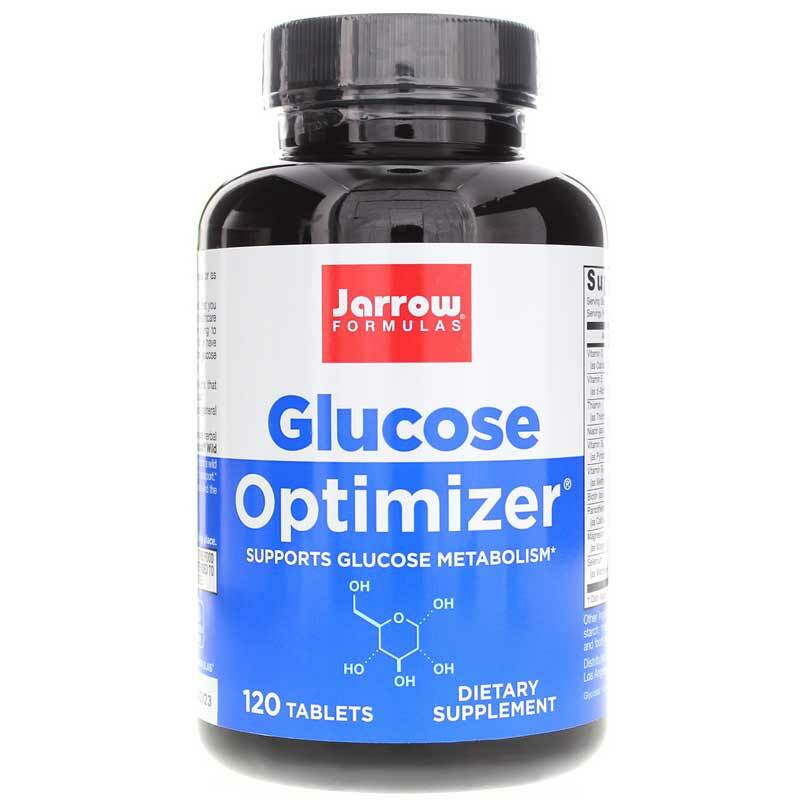 Order Glucose Optimizer from Jarrow Formulas now! Other Ingredients: Cellulose, calcium phosphate, stearic acid (vegetable source), magnesium stearate (vegetable source), silicon dioxide, and a food grade coating. Adults: Take 2 tablets two times per day with meals or as directed by your qualified healthcare consultant. If you have a medical condition (especially diabetes or glucose control problems), are pregnant, lactating, trying to conceive, under the age of 18, or taking medications (especially for diabetes or glucose control), consult your healthcare practitioner before using this product. Keep out of the reach of children. Jarrow should not put 1,500% RDA of Niacin in a Diabetic support formula, because it will cause or contribute to Diabetic Retinopathy. I know because I contracted "central serous chorioretinopathy" from Niacin supplementation...Also Bitter Melon may cause chest pain as a side effect, as well Eucalyptus is not intended for internal consumption, why are they even putting it in there?